Wrangling over a $6 billion-plus underground expansion of Oyu Tolgoi, Rio Tinto's (LON:RIO) massive copper-gold mine in Mongolia, could be resolved by the end of the month. UBPost News reports Erdenes Oyu Tolgoi director Da.Ganbold, representing the Mongolian government's 34% stake in the project told local news media "only a few critical issues remain," including water usage which is close to being settled, royalties, details the phase 2 pre-feasibility study and what Mongolia alleges is overspending by Rio to the tune of $2 billion. Talks between the Anglo-Australian giant and the Mongolian government on the expansion and reworking the initial 2009 deal which first unleashed the Mongolian investment boom, have dragged on for the better part of a year. Both sides provided fresh faces for the Oyu Tolgoi board in September to break the impasse. Rio unit Turquoise Hill (NYSE:TRQ), operator of the $6.6 billion open pit, announced in December it received extended commitments from 15 commercial banks for the underground expansion where some 80% of the value of Oyu Tolgoi lies. Rio now has until the end of March to make a deal. Vancouver-based Turquoise Hill recently also closed a $2.4 billion rights offering to repay a $600 million bridge loan and a $1.8 billion interim funding facility for Oyo Tolgoi. Mongolia introduced new foreign investment laws in November last year to counteract a near 50% slump in foreign direct investment in the country. A positive outcome on Oyu Tolgoi, where some 2,000 workers have been let go due to the delays, would do much to restore the confidence of investors, many of whom have burned fingers in the country before. But after phase 2 the mine in the southern Gobi desert close to the Chinese border could produce more than 1.2 billion pounds of copper worth $4 billion at today's prices, 650,000 ounces of gold ($800 million) and 3 million ounces of silver ($55 million) each year. 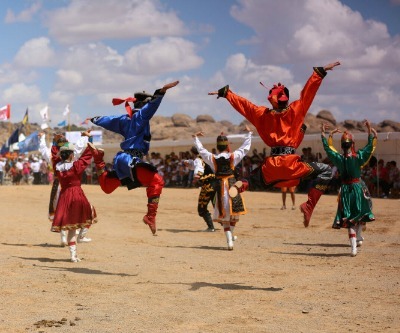 Oyu Tolgoi will account for 30% of the economy of the nation of just over 3 million people. Turquoise Hill – then called Ivanhoe Mines – was founded by mining financier Robert Friedland after making the Oyu Tolgoi discovery in 2001. According to a new study Friedland, who lost control of the miner to Rio in 2012 and still owns 8-9% of the company, last year lost his billionaire status thanks in part to a 60% slump in Turquoise Hill shares last year.